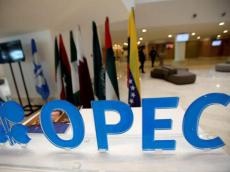 Baku will host next meeting of OPEC+ where the members and non-cartel countries will measure the impact of the reduction of production on the oil markets to ensure a balance between supply and demand, Azerbaijan in February, Trend reports citing Suhail bin Mohammed Faraj Faris Al Mazrouei, Minister of Energy and Industry of the United Arab Emirates (UAE). The minister noted that the ministerial committee for production control will examine at its meeting expected in February in Azerbaijan the commitment to the agreed reduction rate between the OPEC member countries and the independent countries abroad. Al Mazrouei stated that the oil markets are witnessing a gradual rebound, adding that the balance in production levels serves the oil producing and consuming countries. The meeting of the Joint Committee of Ministers on monitoring the implementation of the transaction within OPEC+ will be held in February-March 2019 in Baku. Minister of Energy, Industry and Mineral Resources of Saudi Arabia Khalid A. Al-Falih will attend the OPEC+ meeting expected to be held in Baku. In addition, OPEC + plans to hold a ministerial meeting on April 17-18, 2019 in Vienna. The major oil producers have reached a deal to reduce oil production by 1.2 million barrels per day at this meeting. It has been agreed to reduce daily oil production by 0.8 million barrels per day (2.5 percent) for OPEC countries in the first six months of 2019. Non-OPEC countries have agreed to reduce oil production by 0.4 million barrels per day (2 percent). The agreement came into force on January 1, 2019. The next meeting of OPEC and non-OPEC format will be held in Vienna in April next year to revise the agreement. Azerbaijan also supported the decision to reduce oil production and joined the agreement to support the process of world oil market regulation. Azerbaijan will reduce oil production from this month by 20,000 barrels as part of the OPEC+ agreement. According to the data Azerbaijan presented to the OPEC Joint Technical Committee as part of the Vienna Agreement, daily oil production stood at 790,000 barrels in December 2018, of which 721,000 fell to oil, and 69,000 to condensate. Every day 617,000 barrels of oil, 69,000 barrels of condensate and 13,400 barrels of oil products were exported. In January 2018, Azerbaijan produced an average of 814,600 barrels per day, in February – 806,000 barrels, in March – 794,000 barrels, in April – 785,700 barrels, in May – 801,000 barrels , in June - 792,000 barrels, in July 773,000 barrels, in August – 774,000 barrels, in September – 796,000 barrels, in October – 783,000 barrels, in November – 801,000 barrels.